How much is Donnie Wahlberg Worth? Donnie Wahlberg net worth: Donnie Wahlberg is an American actor, singer and producer who has a net worth of $20 million. Donnie Wahlberg was born on August 17, 1969 in Dorchester, Massachusetts. 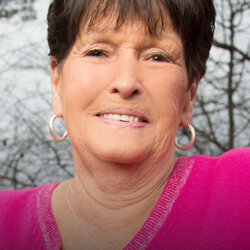 Donnie is the eighth out of nine children born to Donald, a teamster and delivery truck driver, and Alma, a nurse's aide . His younger brother is fellow actor/singer/producer Mark Wahlberg. Donnie first earned fame and success as a member of the 1980s boy band New Kids on the Block (NKOTB). Donnie was one of the earliest prototypical "bad boys" of pop music. At the peak of their success, NKOTB sold tens of millions of records and more than $400 million worth of merchandise. When NKOTB's popularity began to fade in the early 90s, Donnie helped launch Mark's rap career. Donnie co-wrote and produced Marky Mark and the Funky Bunch's debut album "Music for the People", which eventually went platinum. Donnie then launched an acting career. His first film was the 1996 Tupac and Mickey Rourke film "Bullet". He achieved critical praise for a small part in the 1999 film "The Sixth Sense" and in the HBO mini-series "Band of Brothers". Wahlberg began starring in the television series Blue Bloods as Detective Daniel Reagan in 2010. He also began starring in the reality TV series Wahlburgers in 2014 and Donnie Loves Jenny in 2015. He executive produced the reality documentary "Boston's Finest" from 2014 to 2015. He was married to Kim Fey from 1999 – 2008 and married model/comedian Jenny McCarthy in 2014 and has two children. 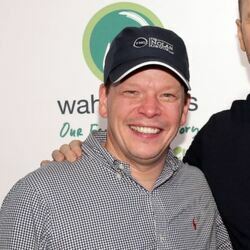 Wahlberg was nominated for Primetime Emmy Awards for Outstanding Unstructured Reality Program for Wahlburgers in 2014 and 2015. He was also nominated for a Teen Choice Award in 2006 for Saw II and a People's Choice Award in 2017 for Favorite TV Crime Drama Actor. 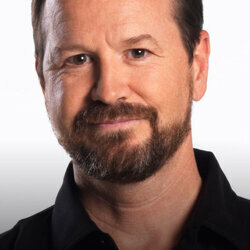 He co-owns the restaurant Wahlbergers which is featured in the show with his brothers Paul and Mark.